i got fps and still blackscreen with gt6. And finally you have to use either of the SPU interpreters, not the SPU recompiler. This one is rather unique because they probably forgot to set the GameID on PARAM.SFO. Also corrected the title, it shouldn't be in all CAPS. On the latest build I got it to the same point but without having to decrypt those four .sprx modules. I then decrypted them and... still a black screen. It's an improvement though, hoping to see it start loading into intro &quot;soonish&quot;. Just a quick update for the new build that auto loads the libraries (48b05838). 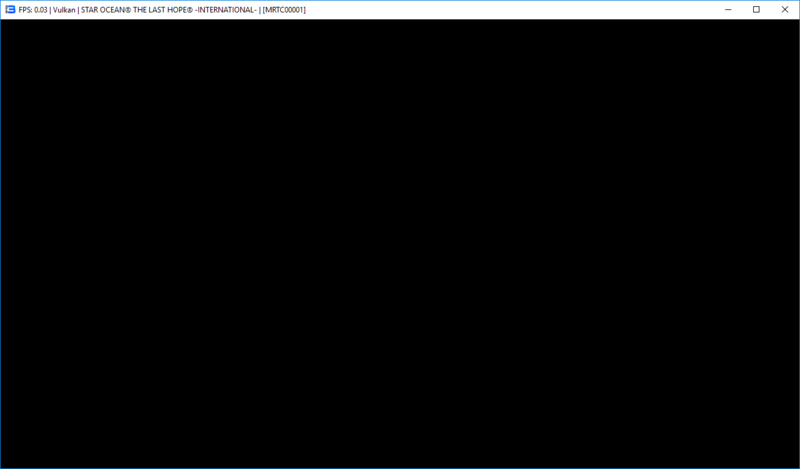 Still just a black screen but it does consistently pop the &quot;Unimplemented SPU xxxx&quot; messages. SPU recompiler doesn't provide a black screen but it does provide a window, which is a step up from previous builds, at least for me. Game goes a tiny bit further with PRX improvements (0.0.2-4437), it now installs trophies. But stays there forever. Pretty much same results here, as in game tries to load the trophies, stays there forever with fluctuating FPS. If I restart then it doesn't even load trophies and stops with an error after a moment, freezing the FPS. Further restarts are the same. (04-14-2017, 04:09 PM)Ryu Makkuro Wrote: Pretty much same results here, as in game tries to load the trophies, stays there forever with fluctuating FPS. If I restart then it doesn't even load trophies and stops with an error after a moment, freezing the FPS. Further restarts are the same. Restarting a PC seems to work as well xD But yeah, seems like trophies pushed this game a bit further, which isn't surprising giving that Star Ocean games tend to have... ridiculously huge amount of those, especially the Battle Trophies, which originate from Star Ocean Till the End of Time if I recall correctly.